This entry was posted on November 22, 2008 at 4:42 pm and is filed under For Sale, Framesets, Track Frames with tags Available, Frameset, Track. You can follow any responses to this entry through the RSS 2.0 feed. You can leave a response, or trackback from your own site. Hello Robert, The stoving enamel we use is not suitable for touchup paint but you should find a matching colour from the range available in your local model shop. Thank you! I will see what I can find. 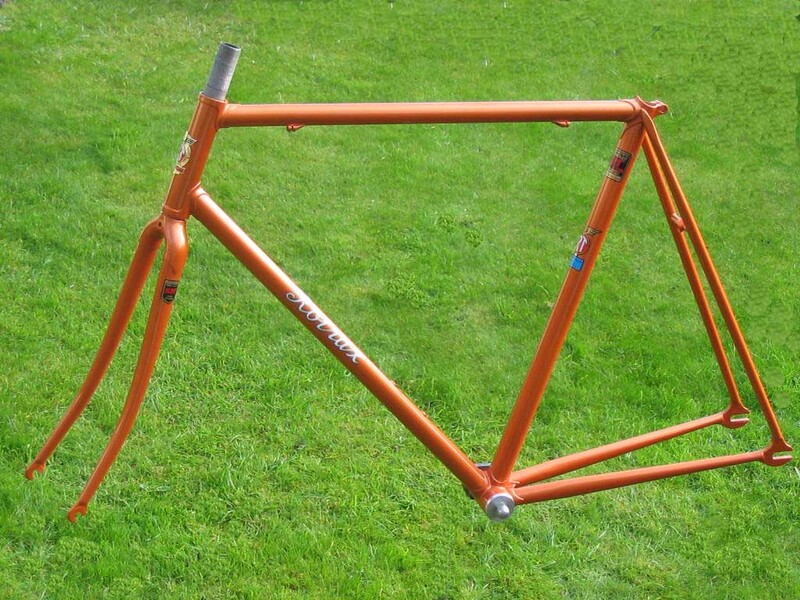 Do you have more specs for this frame? i.e. what the angles are? Also it is currently without wheels/tires, and I would like to run 700cX28 if that is possible.